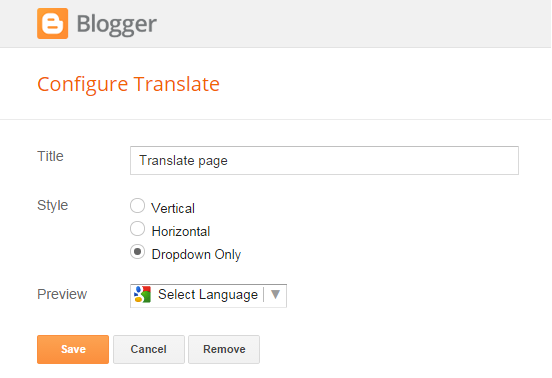 translate blogger, page translator, web page translator gadget, blogger gadgets, How to add page translator in blogger, free blogger gadgets, page translator gadget for blogger, page translator flags on blog header. If your blog has become famous and popular and you see an increase in traffic from overseas then you must add a translator to your blog which lets visitors to translate your blog to their own language so that they could understand your post. Google provides you with a widget called Google translate. This widget has a very useful feature that it automatically detects language of different countries and translate blogs and websites pages automatically. 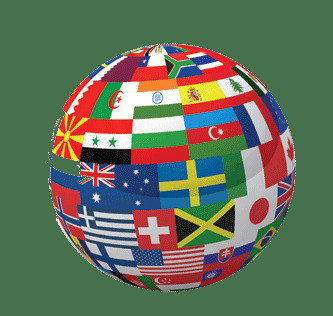 It supports more than 15 languages among which 12 are mostly spoken e.g English, French, German, Spanish, Italian, Dutch, Portuguese, Russian, Japanese, Korean, Arabic and Chinese. In this post I will tell how to add Google page translator to your blog and also how to add it above header as it is search on internet by many bloggers. (1). Go to blogger and log-in to your blogger account. (2). Go to layout and click add a gadget. (3). Select Translate which lies on fourth number. (4). In this step choose the style of your page translator, there are three styles of translator see the preview of your page translator on configure page, select the desired style and click save. (5). Open your blog to see page translator. (1). Go to blogger and click Template. (2). Click Edit html and on the Html page click anywhere in the template code. (3). Use Ctrl+F on your keyboard and find </header>. (5). Now use Ctrl+F again and find ]]></b:skin> and paste the below code above it. If you don't find ]]></b:skin> then copy above code and go to Template click customize and select Advanced and go to last option(Add Css) and paste it in the Add css tab. (6). Click apply to blog on top-right of page and you are done! Note: Sometimes when this gadget is added to blogs the flags don't fit so adjust your blog width to avoid it, if you can't find a better width then set your blog width to 1090 and right bar width to 360. I hope this post was helpful and you like it. Share it with others, follow and subscribe for latest news. Tags: translate blogger, page translator, web page translator gadget, blogger gadgets, How to add page translator in blogger, free blogger gadgets, page translator gadget for blogger, page translator flags on blog header.